Xtreme Machine custom motorcycle wheels were born and brought into this world from a pure passion and market need for a selection of bold, unique chrome and black wheels designed to make a Harley-Davidson look cool. Designed, engineered and manufactured right here in the USA, every wheel that rolls out are made with intelligence and pride. 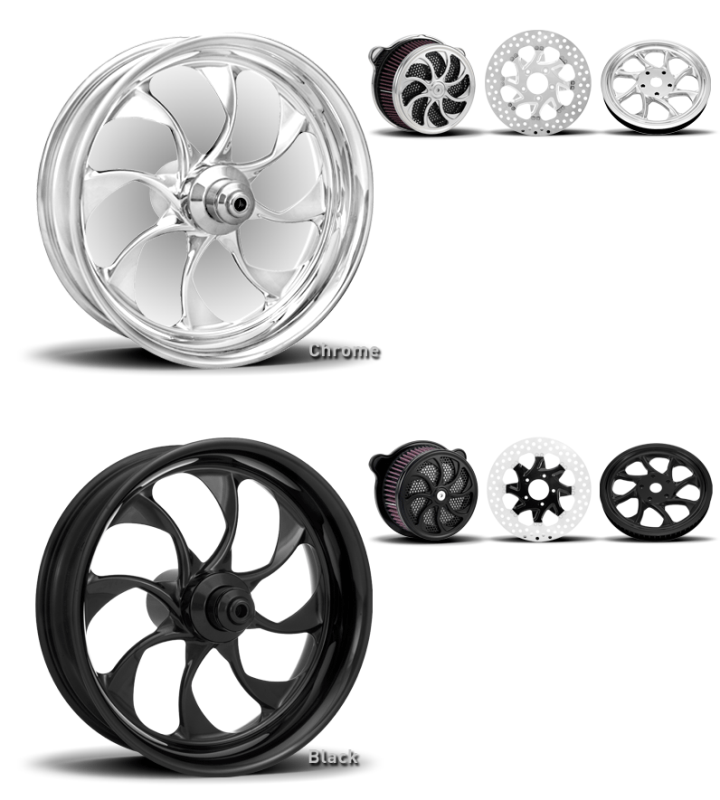 Choose from our portfolio of 11 best selling designs and learn for yourself why Xtreme Machine's wheels are some of the most sought-after wheels for riders around the world.